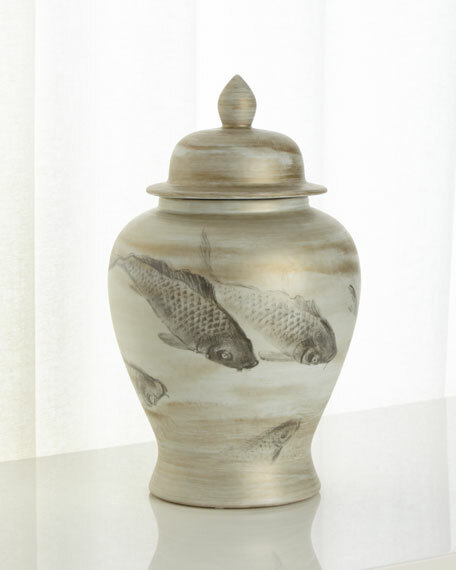 High-fired porcelain vase features fish design. May be used both indoor or outdoor. Made in Jingdezhen Citythe capital of porcelain in the world has 2,000 years of porcelain production history. For in-store inquiries, use sku #2664319.